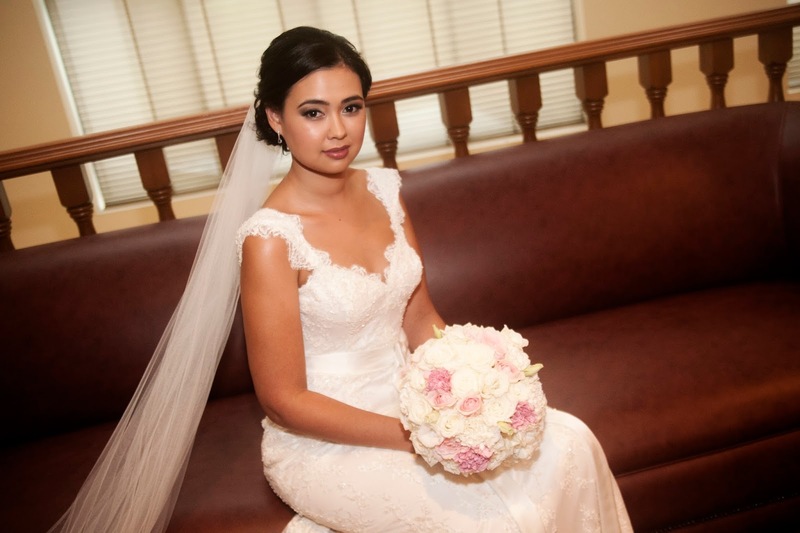 Our January bride is the beautiful Anabelle. Anabelle came in store still undecided whether she would get her dress custom made or buy off the rack. After finding the perfect lace from our extensive 300+ lace range, Anabelle knew that getting her dress made to measure was the right decision. Anabelle fell in love with an exquisite double scalloped beaded fine lace. 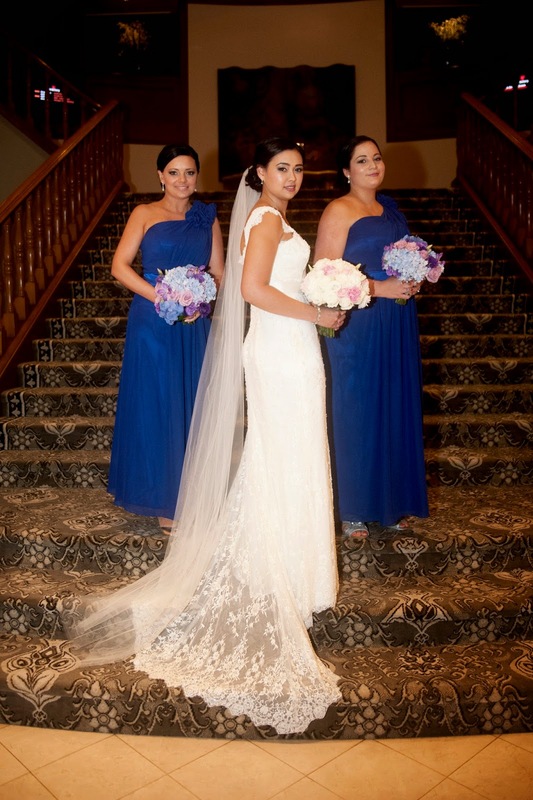 The elegant and timeless style of the dress was perfect in showcasing all the beautiful detailing of the lace. 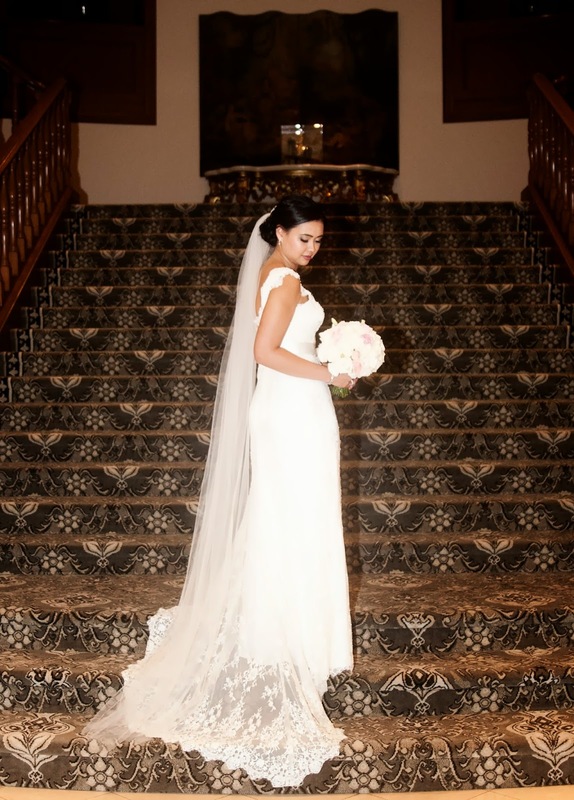 Anabelle's full lace gown was absolutely breathtaking with scallop edging on the neckline and straps, as well as a beautiful extended lace train. 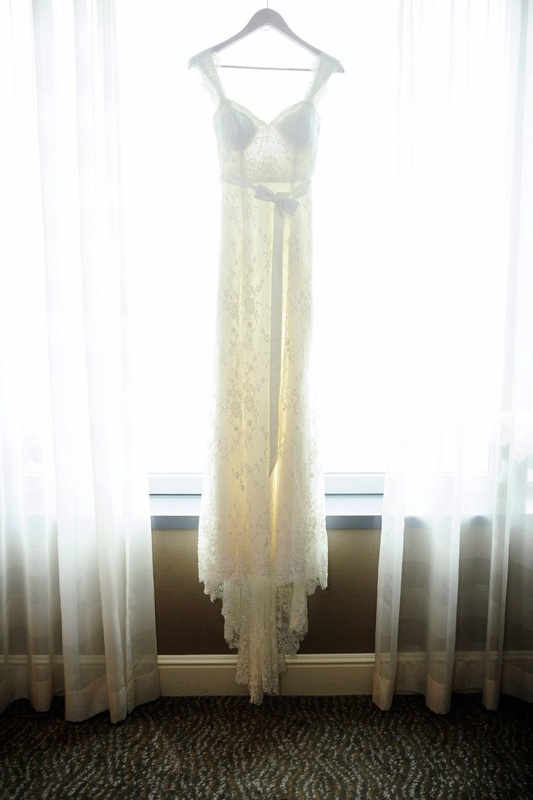 Anabelle's wedding gown was made by the talented Elisabeth Rosentreter. 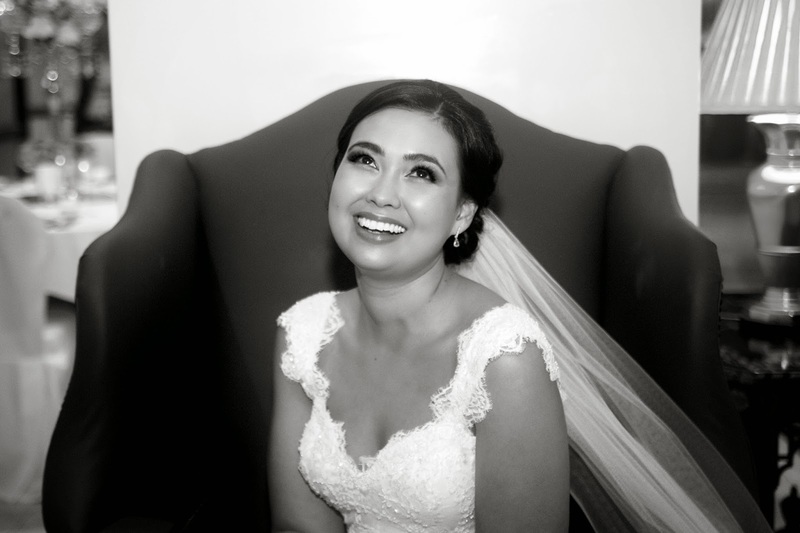 Here is a small interview we had with Anabelle and some beautiful images she shared with us of her big day taken by Phoenix Milla Photography. 1.How did you hear about Selective Fine Fabrics? 2. Why did you decide to get your wedding dress made/ would you recommend it for any future brides? I had been to numerous shops to try on dresses and there was just nothing I really loved. I knew exactly what I wanted but couldn’t find it in stores. Because I had such a clear vision of what I wanted, I decided to investigate getting it made. It turned out to be cheaper than buying something in store that I would have to alter, and I was not settling for a dress I didn’t love. I would absolutely recommend that a bride get their dress made if they don’t find one that they like in store, or don’t want a dress that’s less than perfection for them. Why pay for a dress that you have to get altered to fit or make adjustments to when you can get one made that’s perfect for you. 3.How would you describe your experience at SFF? The staff were amazing! I think they pulled down every type of lace they had in store for me to look at and were extremely patient and helpful. They were knowledgeable about what materials would work and gave great advice. 4. Who was your dress made by? How did you hear about them? Elisabeth Rosentreter. She was so easy to work with and nothing was ever too much trouble. Her work was everything I had hoped for plus so much more. I got her contact through a friend of a friend who was also getting her dress made by Elisabeth. 5. 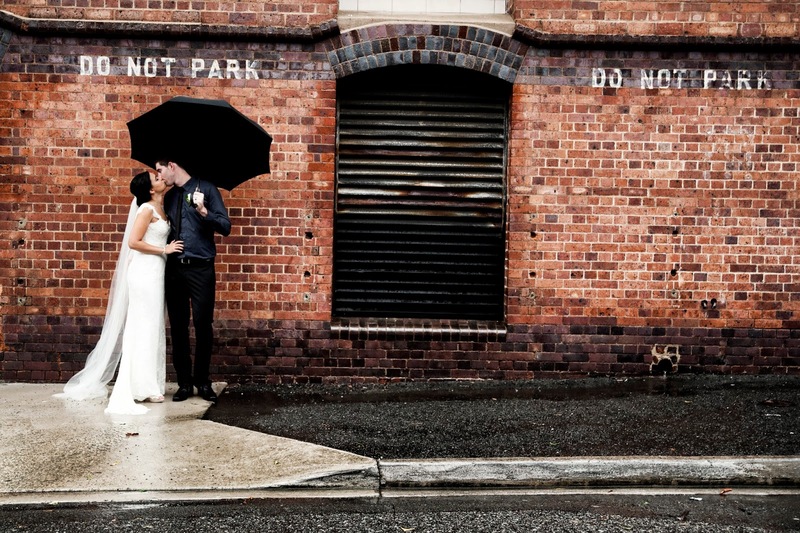 What would be the best advice you would give to any future bride? Don't settle for a dress. There are so many things that could go wrong or stress you out on the wedding day, but a perfect dress makes everything else seem less important. As long as you feel amazing, then the day will be amazing.